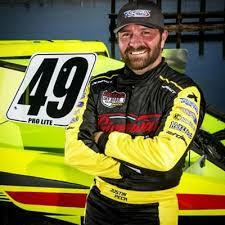 Guest Bio: Justin is a professional, Lucas Oil Series off-road race car driver and team owner. He is also a firsthand expert in the world of mental health, as he has learned to use his Class 1 Bipolar Disorder to his advantage, sidestepped suicide, and overcome addiction. Segment overview: In this segment (SEG 1), Justin Peck talks about his new book “Bulletproof”, the true story of a racing champion both battling and celebrating his everyday life of mental health issues/bipolar disease, addiction, and more. Neal Howard: Hello and welcome to Health Professional Radio. I’m your host Neal Howard, thank you so much for joining us today. Our guest in studio today is Mr. Justin Peck, author of a brand new book and he suffers with mental illness. He’s here today to talk with us about his brand new book called ‘Bulletproof’ and to share some of his life with us. Welcome to Health Professional Radio Justin Peck. Justin Peck: Thanks Neal, how are you? N: I’m doing well and thank you so much for coming in. 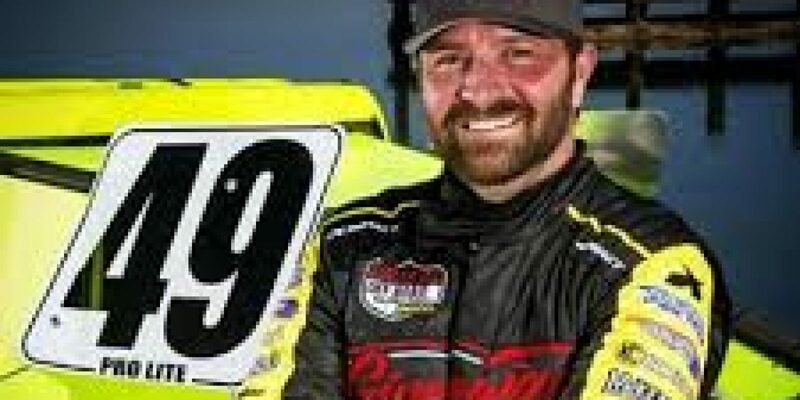 You’re a champion off-road racer, racing in the Lucas Oil Series, you’re the owner of Racepro Tech race team, you’re a speaker and the author of ‘Bulletproof’, your brand new memoir. Why did you write this book? Why now? Tell us a little bit about yourself and what prompted you to write such a book that deals so in-depth with your personal story battling mental health issues, addiction, and more? J: Well the initial thought when I wrote the book was, I didn’t have any thoughts of actually publishing a book. It was more of, I wanted to have a written account of my life that I could pass down to my children as they got older. So with the children being young, when you look at an 8, 9, 10 year old kid and their parents are in their mid-30s, the children, they don’t have any concept of a word it’s like to live in the mid-30s by no means. So I wanted to write kind of an account of my life and what I’ve been through and my life experiences and so as my children got older, they could read about me and understand a little bit more about what I was going through and when they were roughly that age. N: Now ‘Bulletproof’ is an intriguing title, what prompted you to name your memoir Bulletproof? J: It’s actually a nickname that I’ve had for quite some time because I’ve been racing for about 27 years. I’ve crashed under bikes at over 100 miles an hour. I’ve crashed to race cars at over a 160 miles an hour and basically I’ve walked away from everything. But where I finally got the name for the book because I did kind of struggle with the name. So how the name of the book came around was from the very first story in the book. So it was about 11 ½ years ago, normal morning, did the normal wake up leaned over kiss the wife, when upstairs kiss the kids, and went outside I’ve got my dog, put the dog in the back of my truck and went to do our normal daily tasks. And in the course of a couple of hours, I found myself at the top of the Canyon that I’ve been to quite a few times before, and the dog’s running around, and I’m trying to feel her joy, I’m trying to feel her happiness because for the last 6 months of my life, prior to that, I just had felt worthless, have no self-worth, and ultimately, just had this overwhelming sense of despair. And so in one brief moment of irrational thought, irrational thinking, I reached over and grabbed the pistol that was sitting next to me by loaded it, put it to my head and pulled the trigger. And, what followed off of that wasn’t quite what I expected (crosstalk). Yes, I’m here. So it was like a click, end of the deal. I was actually pretty upset and unchambered the bullet, the bullet falls on my lap and I look at it, and I can see where the firing pin had actually hit the bullet. And so, why it didn’t fire? There’s speculation of course through everybody when it comes to the belief system or whatever. But in that moment, the pistol didn’t go off. And so what it ultimately did for me is it took me out of this really, really low place of depression. And then, this massive amount of adrenaline that just shot through my body and with the adrenaline and with that type of feeling, it pulled out me out of the depression really, really fast. N: You do suffer from bipolar disease, specifically as part of your mental health issue. Tell us about this low period, you say it was 6 months that led you up to this point where you’ve actually tried to kill yourself. J: Yes. And that what’s kind of crazy about the story is because I had no idea that I had any mental illness whatsoever. I kind of knew, I kind of had a suspicion through growing up and being kind of the goofy kid but I had no idea. And so, I knew that I would be in a certain place of depression, not wanting go to bed, having no motivation, no self-worth, and ultimately, having the despair that was just consuming me. And then, that would last 6 months to 8 months and then I could go into mania which would last 6 to 8 months where super productive, super creative, I can do anything in the world that I wanted to. And I lived with that for quite some time. And so I just happened to be on the depressive side of the disorder and that was kind of the breaking point for me. When I actually knew that if the gun would went off, I would’ve followed through with that action and I’ve would ultimately a quit, I gave up. And I decided not to do that ever again. And so, that’s when I went to the doctor, I did all the test, and paperwork, and stuff, and that’s kind of when we figured out that the bipolar disorder was real and that’s what I had. N: That’s amazing. So that bullet not going off you say, a huge rush of adrenaline. Now was this just excitement or anticipation of another day gained? Or did it totally take you out of the depression and now, you’re in a manic state, is that what happened? Or is there something different going on? J: No. The adrenaline, it may sound demented to people and it may sound goofy to others. But when I pulled the trigger, the rush that I felt was incredible. It was a feeling that I have always craved in my entire life. And so, it did pull me out of the depression for a brief moment, for about an hour to an hour and a half, I knew that once the adrenaline went away and then there’s, I mean life has a funny way of balancing itself out right? So if you have extreme highs, it’s going to balance itself out by having extreme lows. And so, I have this huge amount of adrenaline dump, serotonin and dopamine, all the things that are blasting through my body, I knew that it was going to be reverse and I knew it, that’s why I had to get to the doctor because not only I was in a depressive state but with me, coming down from the crash of the adrenaline, I had no idea what else going to do. I didn’t have a clue. N: Had you been experimenting with any drugs? Where you drinking it at the time? Was there anything other than bipolar that contributed to this episode or was that something totally separate? J: No. Nothing really contributed to it. The addiction side of what I had went through was a little different. Because I had raced and I’ve been racing for many, many years, I broke several bones. Today, I’m think I’m up to like 78 broken bones and 90 surgeries, and 300 screws and a bunch of rods and plates and cadaver parts and so on and so forth. But at that time, it was mid-2000, I’d crashed really hard, exploded my arm, my left arm, went in, had surgery. And they were giving me pain meds for it and the pain meds, it was a pretty intense surgery and so things are going to be jacked up for a bit. I took the pain meds for about 45 days and that was when I should have really been off of them, but then I was starting to make excuses. “No my arm hurts” or “I’ve got a headache today” or “This is what’s going on with me and I need some more pain meds”. So that turned into an addiction. N: And that’s a huge epidemic in this country right now anyway? J: Absolutely. Hands down, accident turns into addiction more times than not. If there is a way for us to get it in under control, I know that it would like legislation and with things that the government’s trying to do now. I think that they will eventually get somewhat under control but, it ultimately comes down to the person or will power. Are you going to let a small little pill control your life? And I just decided not to at one time. N: Your brand new book ‘Bulletproof’, your memoir and story of your life, where can we get a copy of it? J: Alright. So it’s currently for sale on Amazon and then I would suggest getting it from the website because we have a lot of really, really good information on the blogs as well. N: Well I thank you for coming in, it’s been a pleasure man. N: And I’m hoping that you’ll come back and talk with us some more. J: I would love the opportunity. N: You’ve been listening to Health Professional Radio, I’m your host Neal Howard with Justin Peck, championship off-road racer in the Lucas Oil Series, owner of Racepro Tech Race Team, he is a public speaker, and now the author of ‘Bulletproof’, his brand new memoir. Transcripts and audio of this program are available at healthprofessionalradio.com.au and also at hpr.fm. You can subscribe to this podcast on iTunes, listen in and download at SoundCloud.